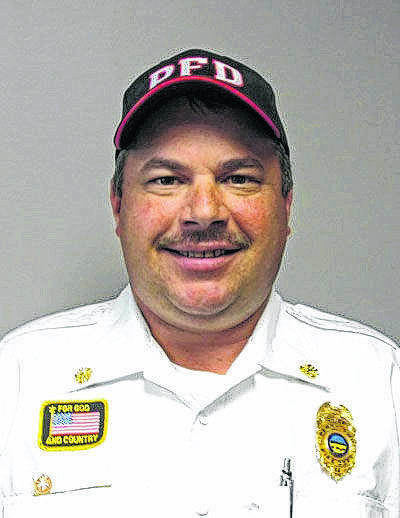 PERRY TOWNSHIP — Perry Township Fire Chief Rick Phillips has resigned from his position seven weeks after Perry Township Trustees put him on paid administrative leave during an emergency session held March 16. Submitting his letter of resignation on Friday, May 4, Perry Township Trustees waited until May 11 to let Phillips’ window to withdraw the resignation expire before officially announcing the news in a news release. The minutes from Perry Township’s March 16 meeting explain how the board had entered executive session to consider the “compensation and discipline of a public employee” before putting Phillips on administrative leave. On March 20, the board met with Katelyn Peters from Clemans-Nelson and Associates, a human resources consulting firm, in executive session for the same reason, although no action was taken immediately following. Perry Township Trustee Chairman Norm Capps said trustees will be considering Phillips’ replacement during their scheduled monthly meeting Tuesday. Assistant Fire Chief Justin Roberts has been acting as interim chief since Phillips entered administrative leave in mid-March.